Since his first time on the stage at age 10, Toyonaga has been active both on television and stage. Following his debut as a voice actor in 2002, his voice has been featured in many popular anime titles. 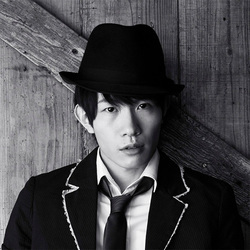 His recent credits include his role as Mikado Ryugamine in the DURARARA!! series, Hideyoshi Nagachika in Tokyo Ghoul and Takeru Totsuka in Kamigami no Asobi. He currently works with the Super Eccentric Theater INC. troupe.